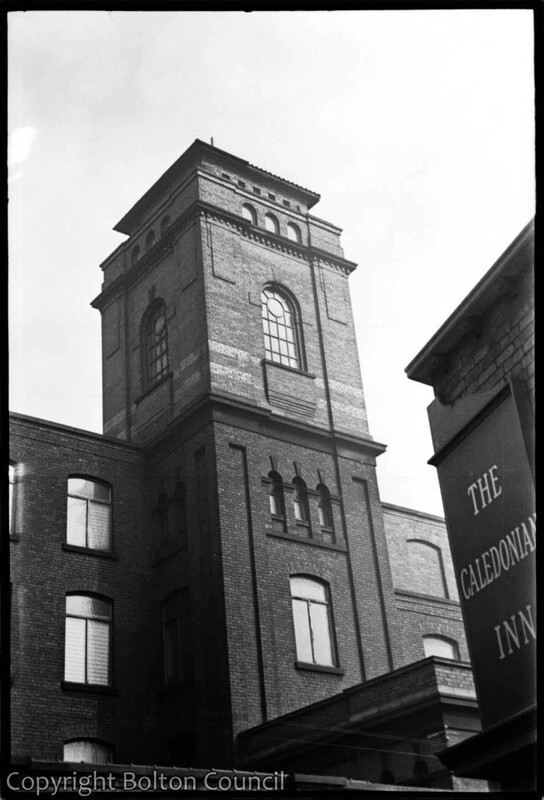 View of the tower of Mossfield Mill, on Vernon Street. The mill has been demolished and replaced by housing. A memorial stone marks its location. The corner of the Caledonian Pub is visible on the photograph. The Caledonian pub was at the end of Lyon st.